The stage is set, and so are the athletes for the 2017 Airtel Delhi Half Marathon to be held on November 19, 2017. Some of the world’s best and India’s elite will vie for glory in the US$284,000 event. On the eve of the Race Day, Indian elite contingent looked confident to better their best till date. Indian elite men’s Defending Champion G Lakshmanan said he loves the city and the event. “It’s one of those events I enjoy coming back to. This is my third appearance here I will look to better my timings,” said Lakshmanan who took the top spot in the 2016 edition with a timing of 1:04:37. Challenging Lakshmanan to his throne would be Nitender Singh Rawat and Kalidas Hirave. Rawat who won the 2016 Mumbai Marathon with a timing of 2:15:48 says he wants to better his half marathon time of 1:04:07 at the event tomorrow. “The event has got bigger and better every passing year, there is more awareness among general public which is very good,” said the 30-year old who won the title here in 2015. Meanwhile Satara-born Hirave said he was excited to come back to his favourite marathon event. “This is my favourite running route, Delhi brings the best out of me,” expressed the 26-year-old who came fifth in his debut at Airtel Delhi Half Marathon in 2015. Marathon world champion Geoffrey Kirui from Kenya alongside his compatriots Jorum Okumbo and Alex Korio (Oloitiptip) will headline the men’s field. Indian women’s elite field will include 2016 edition’s third-placed runner Swati Gadhave along with Sudha Singh, Parul Chaughary and L Suriya. Singh who is the most experienced of the lot won the Tata Steel Kolkata 25k in December last year while finishing seventh in the 2016 Mumbai Marathon. “I have been training hard for this event running 280 kms a week as a part of my training,” said Singh who stood 3rd in 2015. L Suriya is coming to the event at the back of winning gold at the 2017 BSF Marathon besides winning golds in 5000m & 10000m at 2016 SAF Games. She finished fourth at 2015 Airtel Delhi Half Marathon with a time of 1:13:18. 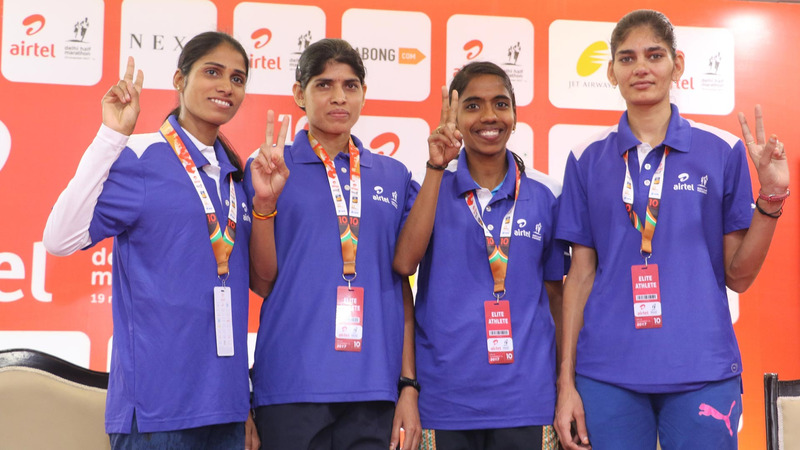 The Indian elite women contingent will run alongside reigning 10,000m world champion and world record holder Almaz Ayana on Sunday. The Ethiopian will be favourite alongside Airtel Delhi Half Marathon defending champion Worknesh Degefa to dominate the women’s category. Honourable Minister of State (IC - Youth Affairs and Sports) Col. (Retd.) Rajyavardhan Singh Rathore will flag off the race at 6:40 am. Adman and National Creative Director of O & M Piyush Pandey alongside Bollywood actor Gulshan Grover, former CAG of India Vinod Rai will also be a part of dignitaries attending the event. 2016 Rio Paralympics men’s High Jump gold medalist Mariyappan Thangavelu and bronze medalist Varun Bhati will run in Champions With Disability category. The 2017 Airtel Delhi Half Marathon will be telecast live on Star Sports Select & Star Sports Select HD from 6:30 am onwards. Half Marathon Elite Men will kick-off at 6:40 am. Half Marathon Elite Women will kick-off at 6:50 am followed by Half Marathon for open category. The newly introduced 10k run will be flagged off at 7:30 am, Champions with disability at 7:40 am followed by Senior Citizen’s run at 8:00 am and Great Delhi Run at 9:30 am. 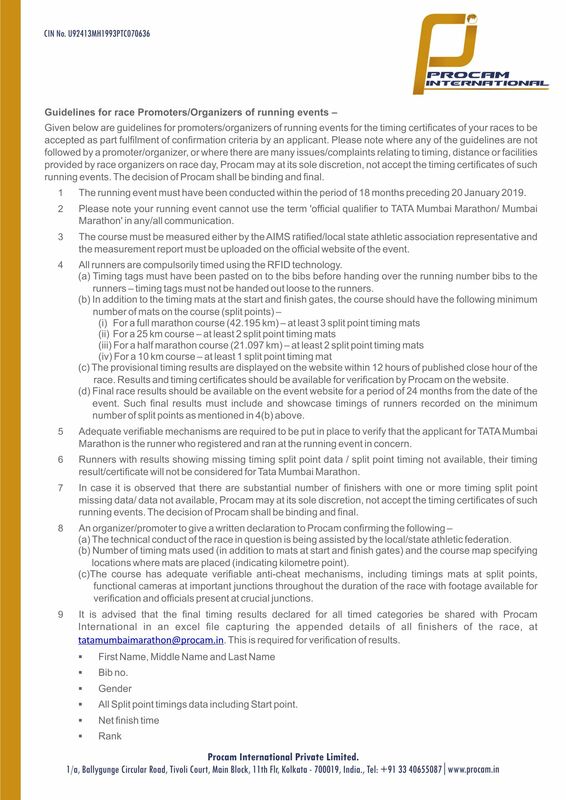 The race will be streamed live on adhm.procamrunning.in from 6:30 am to 10:00 am.